Perfect for lucky little people – especially in autumn! Your favourite bedtime rhymes in sturdy board books that’ll delight you for years to come. 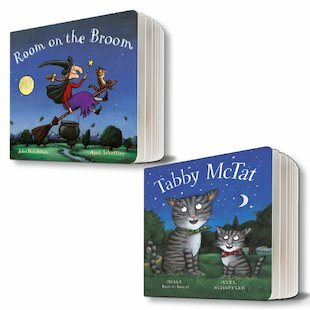 From the spooky magic of Room on the Broom to the brave adventures of Tabby McTat, these works of funny genius are great for dark chilly nights. Witty rhymes, adorable pictures and cuddly characters you’ll fall in love with. A joy to share: a brilliant way to catch the reading bug.